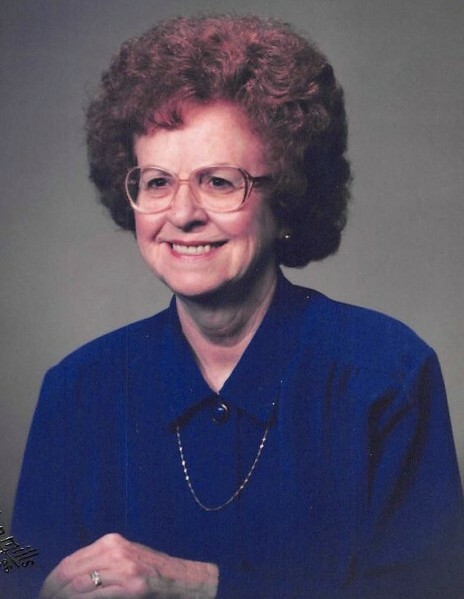 Rosalie ‘Mitchell’ Berner, 87, loving wife, mother and grandmother, went home to be with the Lord on Wednesday, August 29, 2018. Born in Hillsboro on September 21, 1930, she was the daughter of the late Homer E. and Elsie M. Mitchell. Rosalie is preceded in death by her loving husband, of 68 years, Willis ‘Bud’ Berner, who passed April 21, 2017. A 1948 graduate of Sabina High School, Rosalie was a member of the Sabina Church of Christ and the Sabina Seniors. She was a devoted mother and homemaker. Together with her husband, they shared five children, who survive: Rosemary (Karol) Hux of Sabina, Keith (Brenda) Berner of Washington Court House, Kathy (Gil) Cox of West Jefferson, Kevin (Teresa) Berner of Sabina, and Angela (Vince) Duggins of Wilmington. Also left to cherish her memory are grandchildren: Mindy (John) Williams, Misty (Brandyn) Branham, Brad (Britt) Berner, Buffie (Paul) Barnes, Brian (Christy) Farley, Bridget Farley, Brandie (Ian) Sharp, Lisa (Chad) Cannon, Johnathon (Samantha) Berner, Jennifer (Jeffrey) Booth, and Jeremy Duggins. She is also survived by his 21 great-grandchildren and 5 great-great grandchildren. In addition to her husband, Rosalie is preceded in death by siblings: Regina, Sue Ann, Darrell, and an infant sister, Irene. Family will receive friends at Littleton Funeral Home, Sabina, on Tuesday, September 4, 2018, from 11 am until 1pm, when a funeral service will begin. Burial to follow at Sabina Cemetery.